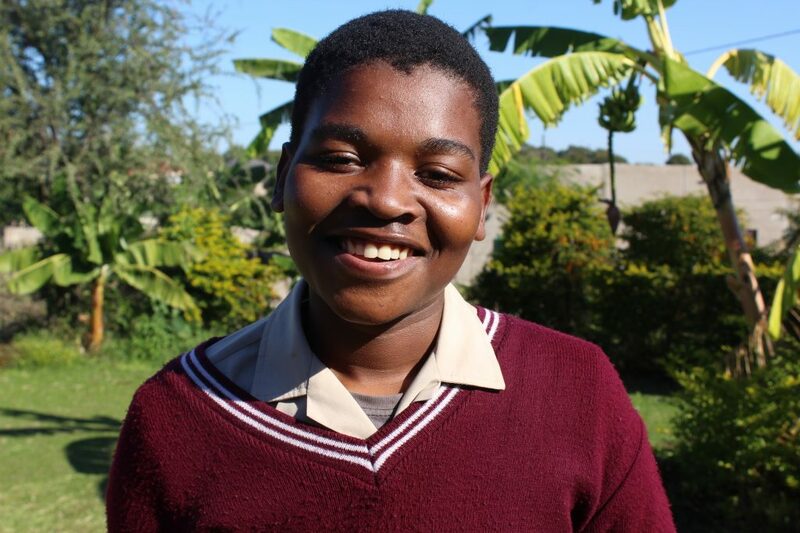 Founded in 2009 and set in the rural Nkomazi region of South Africa, Imagine Scholar is an after-school mentorship program that exists to catalyse young leaders’ potential. With the belief that a student’s ability to succeed should not be determined by the situation they were born in to, Grade 9-12 Scholars sit in the driver’s seat of their own development, taking the reins for their own personal, professional, and academic achievement – all with a sense of humour. “Don’t ask yourself what the world needs. Ask yourself what makes you come alive, and go do that, because what the world needs is people who have come alive”. This quote from Howard Thurman encapsulates Imagine Scholar’s ethos. Academic standards and averages are not enough to cultivate the robust and empathetic leaders we need to solve 21st Century challenges. Instead of celebrating conformity, we instigate quirkiness and individuality. Instead of prescribing information for Scholars to memorise and regurgitate, we give students a toolkit to understand the reaches of their cognitive ability and let them explore. The result? Scholars evolve to be critical and tactile – taking note of issues they see in the world and designing solutions. Instead of reading a book about organic farming, a Scholar will build a farm. Instead of dreaming about a future career in tech, a Scholar will code an app that is useful to his or her peers. Scholars tinker, test, and model their way to understanding their world. Our program challenges students to go beyond theorising and to become ripple-makers. We facilitate instead of tell, guide instead of force, and see ourselves as the scaffolding for a students’ progression. Imagine Scholar is a 21st Century tool kit to the curious learner. Think Tank is a three-year journey into cognitive self-awareness. Students explore with creativity, abstraction, bias, and behaviour, examining topics like psychology, cognitive science, heuristics, and even behavioural economics. Ommm (Open Minded Meaning Makers) Lab is grounded in storytelling and imbuing Scholars with confidence to create meaning. Oracy, linguistics, discourse, and communication styles provide fodder for learning in this class. Learning Zone is a meta-learning workspace that allows young leaders to sharpen their academic and scientific learning skills. Learning Zone encourages Scholars to design, test, analyse, and re-create. Imagine Scholar’s innovative curriculum pushes the boundaries of education in our community and has yielded incredible results from numerous groundbreaking acceptances to international universities, to students building award-winning electric vehicles, launching chess tournaments, and improving literacy in our community. Our distinctive organisational culture is the glue that holds our program together, and the secret sauce for our success. At Imagine Scholar, a sense of openness to emotional and intellectual vulnerability is the norm; our culture allows students to have a safe space to blue-sky think, try, and fail without fear of ridicule. Our culture begins with our rigorous application process. The sheer rigor of the process means that hundreds of students wane, leaving only those who truly want to be here. From there, our mature students take the reins, choosing our final cohort of 10 based on character interviews. This not only to allow our students, who have worked hard to create a culture they love ensure its longevity, but also to give new Grade 9s an immediate sense of inclusion. Inclusive culture, innovative curriculum, and a dedication to pioneering a new style of education are the ingredients that make up Imagine Scholar. We are constantly learning, growing, and evolving, always looking for the next best way to inspire and empower the young leaders of tomorrow. Find out more about Imagine Scholar and connect with them via their Eco Atlas page.